Mr. Argilagos is the founder and majority shareholder in three security focused companies; Fortress Armored, Fortress Guard Services and Fortress Executive Transport. He is also the co-founder and Chairman of the Board of Viamericas Corporation, a consumer focused money transfer company with operations in forty-five U.S. states and throughout Latin America, and with an expanding presence in Asia. Prior to his positions in both Viamericas and Fortress, Mr. Argilagos was a founding partner in Angel Interactive Capital, a New York based venture capital firm specializing in new media and technology companies, and was a Managing Director at Merrill Lynch based in New York. Over his sixteen year career with Merrill, Mr. Argilagos was one of the persons responsible for establishing the firm’s fixed income derivatives business as global head of the Investor Strategies Group, was appointed chairman of Merrill Lynch International Bank and was global head of the firm’s foreign exchange operation. Mr. Argilagos was also co-head of Merrill’s global equity linked business. His responsibilities include managing global equity derivatives, program trading, index arbitrage and convertible bonds. Mr. Argilagos has served on MIT’s financial Engineering board at the Sloan Business School and has been a frequent lecturer on derivatives risk management. He coauthored several published papers on structured investments. Currently, he serves on the Board of Viamistad, a philanthropic organization which works with Homeboy Industries in the Los Angeles area and runs recreational camps for disabled children and adults in Central America. Mr. Argilagos graduated from the Georgetown University School of Foreign Service in 1983. Scott Gaglio, Chief Operating Officer, has more than 20 years experience in security, armored services and industrial operations. 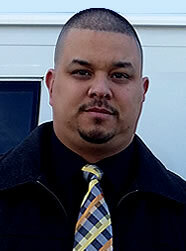 Prior to joining Fortress Armored Services in 2009, Scott was employed for 6 years by a leading national armored carrier whereby he quickly moved up through the ranks starting as Vault Manager and then Branch Manager. He was responsible for a branch that serviced customers in the tri-state area, with over 120 employees, and ran over 25 trucks daily. He implemented state-of-the art changes that resulted in significantly lower costs and higher efficiency. 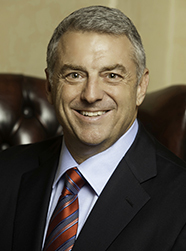 Today Scott Gaglio is leading Fortress Armored Services steady growth and maintaining a competitive edge in the Los Angeles market by offering innovative cash management solutions, high quality customer service and flat rate billing; making Fortress Armored Services the top choice for armored services in Southern California.